Sure, I could have picked a pristine shell from our collection, but I like the rugged character of this one. 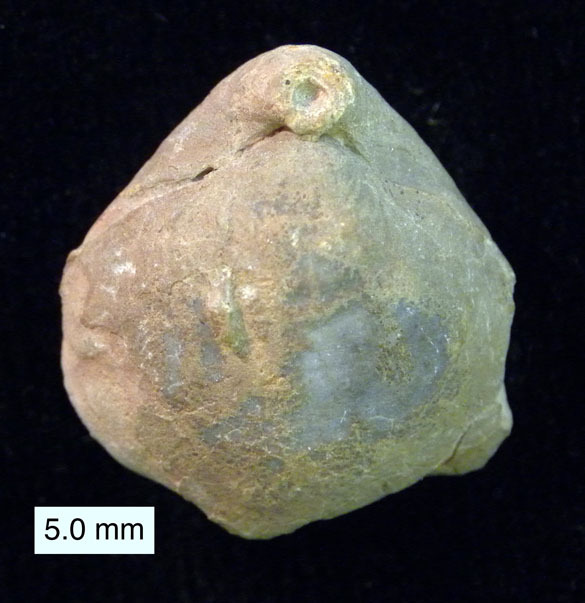 It is the terebratulid brachiopod Coenothyris oweni Feldman, 2002, from the lower Saharonim Formation (Middle Triassic) of Har Devanim, southern Israel. I picked it up, along with a dozen others, during our 2010 Israel expedition. Above we have a dorsal view of this brachiopod. The posterior is at the top, anterior at the bottom. The round hole is the pedicle opening in the ventral valve. (The pedicle is a fleshy stalk the brachiopod uses to attach to a substrate.) As with all brachiopods, you can see the bilateral symmetry of the shell with the plane perpendicular to the hinge between the valves. Terebratulids are still around. 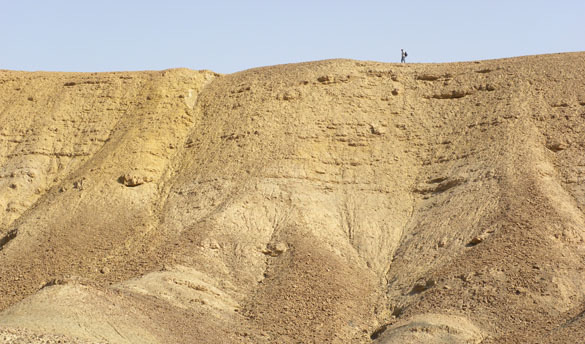 The layered units at the top of this ridge of Har Devanim are the lower part of the Saharonim Formation (Anisian, Middle Triassic). Micah Risacher (’11) is just visible. Coenothyris oweni was named in 2002 by my friend Howie Feldman. He also wrote a 2005 paper on the paleoecology of this species in the Saharonim Formation of southern Israel. The brachiopods are sometimes found in obrution deposits, meaning they were buried alive by storm-driven sediments (see above). The genus Coenothyris was named by Joseph Henri Ferdinand Douvillé in 1879 (above as a young man and older). He was a French paleontologist and geologist who worked first as a mining engineer and then a professor of paleontology at the École des Mines (School of Mines). 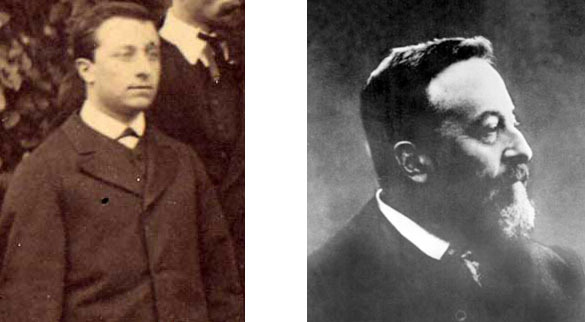 His research took him around the world, but his most prominent papers were on French fossils and geology. In 1881 he became president of the Société géologique de France; in 1907 he was elevated to the Académie des Sciences. Feldman, H.R. 2002. A new species of Coenothyris (Brachiopoda) from the Triassic (Upper Anisian-Ladinian) of Israel. Journal of Paleontology 76: 34-42. Feldman, H.R. 2005. Paleoecology, taphonomy, and biogeography of a Coenothyris community (Brachiopoda, Terebratulida) from the Triassic (Upper Anisian-Lower Ladinian) of Israel. American Museum Novitates, no. 3479: 1-19.